The sun was already starting to shine as I boxed the bridal bouquets ready to deliver them over to Fiona’s (the bride seen above) Mum’s house in Leamington Spa. 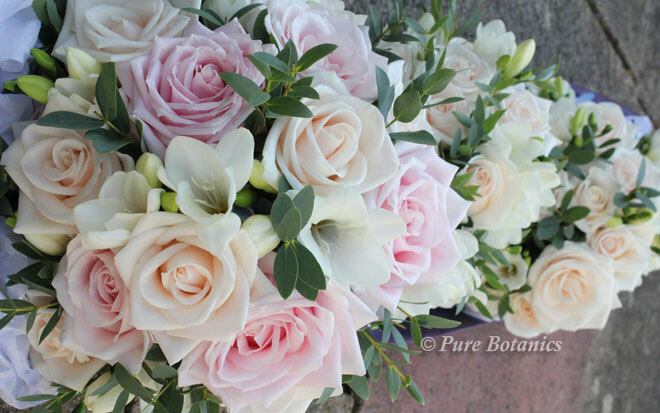 I love delivering the bouquets to the bride on the morning as it’s such an exciting time. 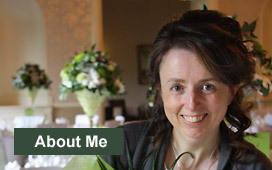 The flower delivery is normally the first thing to arrive and people often remark that the day starts to feel more real once the bouquets have arrived. 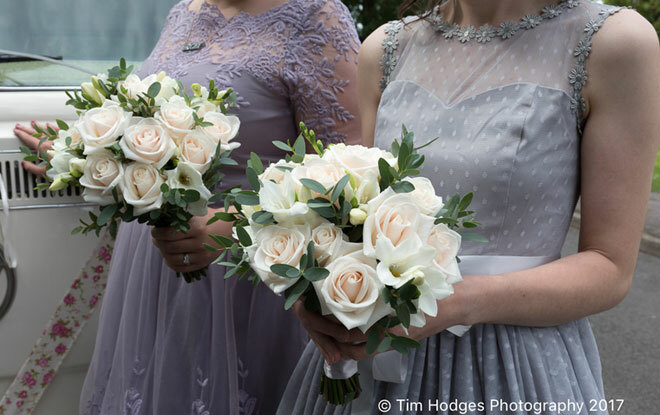 I loved the delicate muted tones that Fiona chose for her wedding flowers, all the tones and shades coordinated beautifully with the shades of the dresses. 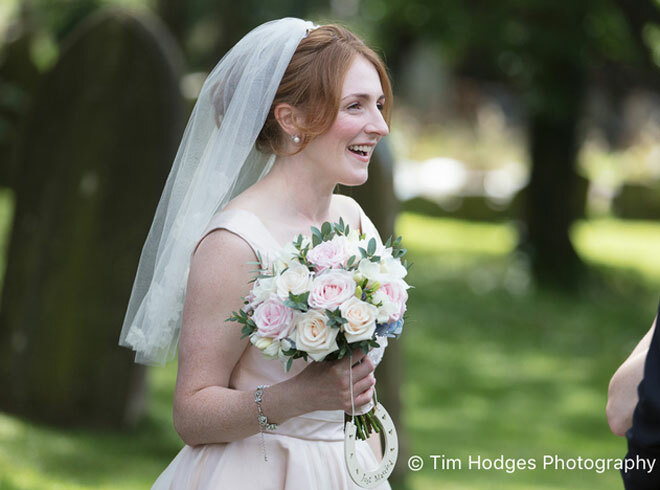 Fiona’s stunning bridal gown even had a delicate hint of blush (photo below). 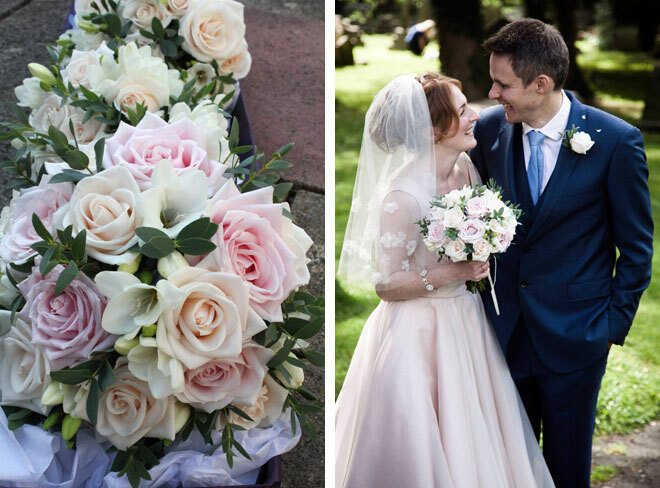 The warm buttermilk tone of the stunning ‘Vendela’ roses worked beautifully with the bridesmaids dresses . 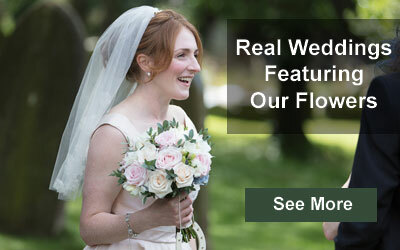 It was clear to see that Fiona had gone to a lot of trouble to coordinate and theme all of her wedding decorations. Hydrangea’s were a wonderful choice for this wedding as they fitted perfectly with the vintage theme of the wedding. The shade of pale blue that I ordered in was a really soft pastel blue so that it coordinated with the muted shades of the rest of the wedding flowers. There are so many different shades of blue when it comes to hydrangeas and these were just right. The peak season for hydrangeas is May to September, this is the time when you have more choice of colours. It’s always so exciting to see everything coming together. 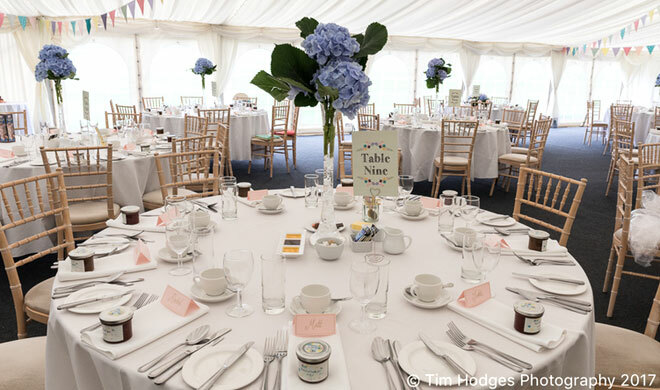 As I set out the table arrangements in the marquee at Wethele Manor (photo above) it was lovely to see it all complete and looking wonderful before the wedding guests arrived. 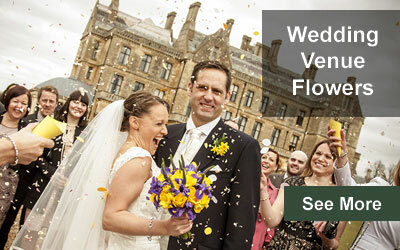 Sit back and relax as you can pour over more of Fiona and Mat’s wonderful wedding photos on our featured wedding page. 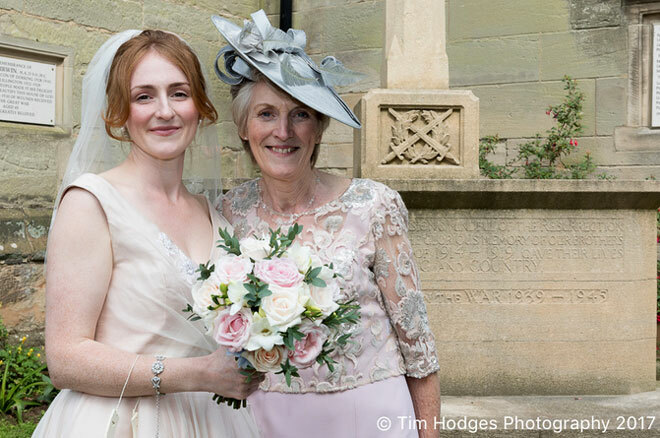 A lot of the photos were kindly given to us by Tim Hodges Photography.